CEOs and HR leaders [and CFOs] worried about the viability of their talent strategy may be excused an occasional sleepless night. After all, there’s a closetful of bogeymen to pick from as disruptive technologies such as digitization, automation, and artificial intelligence combine with demographic forces to continue transforming the nature of work, how it gets done, and by whom. The resulting job displacement could be massive — think Industrial Revolution massive — affecting as many as 800 million people globally by 2030 and requiring up to 375 million of them to switch occupational categories and learn new skills. Companies are already feeling the heat. Fully 60% of global executives in a recent McKinsey survey expect that up to half of their organization’s workforce will need retraining or replacing within five years. An additional 28% of executives expect that more than half of their workforce will need retraining or replacing. More than one-third of the survey respondents said their organizations are unprepared to address the skill gaps they anticipate. How can organizations better prepare for what’s coming? For starters, they should embrace a more expansive and dynamic view of their talent supply — one that tosses out the usual preoccupation with titles and traditional roles and looks instead at the underlying skills people have. Indeed, we find that when companies start with skills — the ones they need, the ones they have, and how the mix may change over time — they can free up their thinking and find more creative ways to meet the inevitable mismatches. In this article, we’ll show how forward-looking organizations are grappling with these challenges and highlight ways that CEOs and senior leaders can spark progress that is tangible, practical, and quite often beneficial for both employer and employee alike. Oftentimes, taking the first step can be as simple as asking: For our five most important skills, are we long — or short — on talent? To respond to the imbalances, the bank developed a range of interventions. For example, the bank is rolling out upskilling programs to help prepare its retail bankers for the aspects of their jobs that are changing; elsewhere, reskilling and retraining programs (including new digital and analytical skills) are helping employees secure new roles in the company. Still, other employees have been offered part-time positions, an option intended to appeal to those nearing retirement. Finally, for some employees, the bank is exploring secondment opportunities with selected not-for-profit organizations. Under the arrangement, both organizations pay a portion of the employee’s salary. In principle, this benefits everyone: the not-for-profit (which gets a talented employee for less money), the employees (who are doing meaningful work using skills that are in high demand), and even the bank (which pays less for skills it already has in surplus, while potentially enhancing its visibility in the community). Starting with a thought exercise such as this can help break down an otherwise intractable problem into smaller chunks that can be approached with discipline. At the same time, testing potential interventions using the logic of microeconomics can help managers see a wider portfolio of options beyond reskilling at one extreme, and layoffs at the other. One way to spark a fruitful C-suite conversation about talent supply is to borrow a page from the dismal science and look at skills in the context of surplus and shortage. Companies can also start nurturing skills today that they may benefit from later. In 2015, Mercy Health, a U.S.-based not-for-profit healthcare system, partnered with local community colleges in the state of Michigan to fill a skill gap among medical assistants by creating a paid apprenticeship program. Apprentices spend two days a week in class and three days working in physicians’ offices for a salary that is underwritten, in part, by a grant from the U.S. Department of Labor. The results are encouraging, with Mercy Health hiring nearly all the alumni of its first two graduating classes. Moreover, the company is exploring the launch of three new apprenticeship programs for other occupations. For example, Deutsche Post recently teamed up with a provider of elderly care services in the city of Bremen to test a program that uses postal employees to provide support and referral services to the city’s pensioners. In addition to the social benefit, the program, which runs through 2019, offers a new source of revenue for Deutsche Post as well as the potential to secure additional jobs, an outcome that pleases the trade union. As Amazon’s example suggests, the nature of the evolving workplace confronts leaders with the need to think quite differently about people’s relationship to work. In this vein, we are particularly intrigued by concepts such as “lifelong employability” that prioritize helping people successfully adapt — again and again, if necessary — as the economy evolves. Yet if companies are to bring ideas such as these to fruition, and truly reorient their organizations around skills and not just roles, they will need more than just a mindset shift. 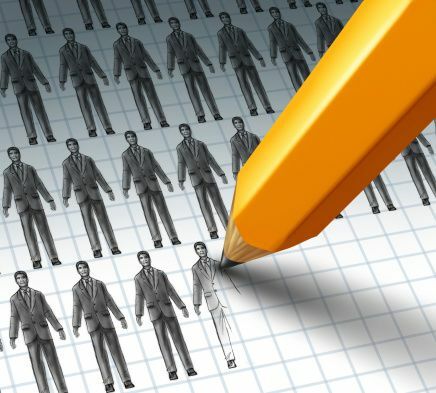 Many, if not most, companies will find their people-operations infrastructure and talent-management system creaking under the strain of new challenges. Designing a winning employee value proposition, for instance, is much harder when career paths are themselves in flux. Indeed, HR will need to sharpen its own skills, not only in traditional areas, like employee retention and performance management, but also in new ones, such as managing the risks associated with gig work. In this respect, HR leaders are no different from those in any other function — all of whom must be prepared to evolve if they are to be effective in helping the larger enterprise adapt to the changing nature of work. This article was originally published by McKinsey & Company, www.mckinsey.com. Copyright (c) 2019 All rights reserved. Reprinted by permission.